Register Log In AmbergrisCaye.com Home Forums Specials & Events Fundraisers, Volunteering, & Charity 2018 Night Out for the Birds! 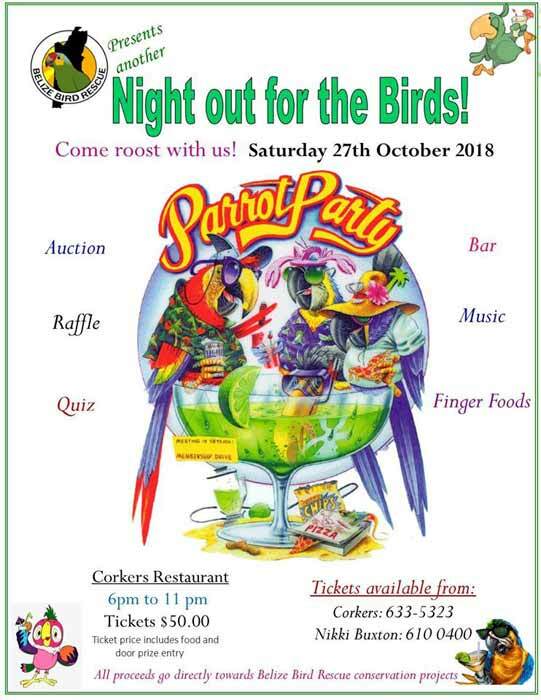 Saturday 27th October is the Belize Bird Rescue annual fundraiser at Corkers Restaurant in Belmopan! Tickets are $50 and all proceeds go directly to BBR. A fun filled night, ncluding silent auction, raffle, door prize, food, cash bar, quiz and music! We look forward to seeing you.